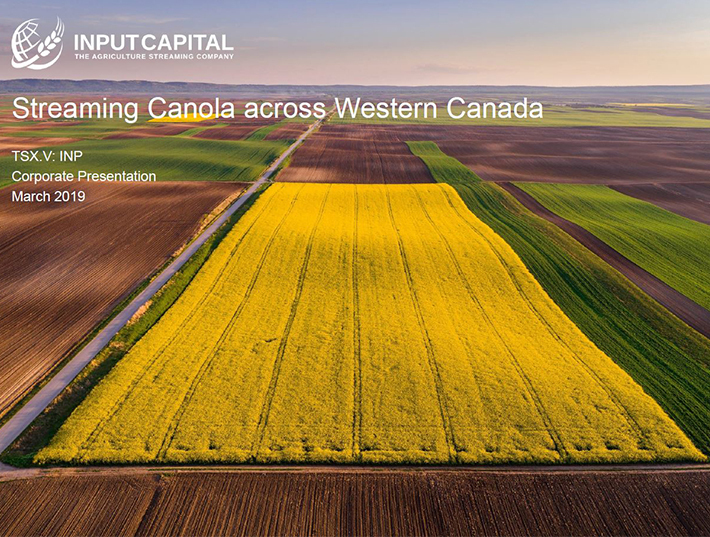 REGINA, May 18, 2018 /CNW/ - Input Capital Corp. ("Input" or the "Company") (TSX Venture: INP) (US: INPCF) announces that yesterday, the Saskatchewan Court of Queen's Bench awarded Input a judgment for $4.4 million, together with interest and court costs, in a matter relating to a streaming contract on which a farmer in SE Saskatchewan defaulted. The client was unjustly enriched by the default, and should be required to pay Input. While Input achieved success in the case, the court did make certain findings that Input believes to be in error. Input is considering an appeal of these findings.